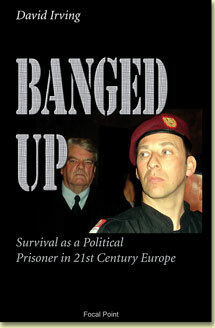 Banged Up is the unedifying story, told without rancour and often with a bitter humour, of a British historian who spends four hundred days in solitary confinement in Austria’s oldest jailhouse, convicted under a 1945 Stalin-era law because of a lecture on history that he has delivered in Vienna sixteen years before. There is outcry in the free world’s press. Soon he is faced with new charges, carrying a twenty-year sentence, for talking to the BBC. Then the case comes to the Court of Appeal. Anyone who is outraged by political correctness will enjoy this book. 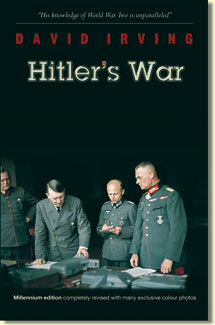 It is an easy read with loads of colour pictures. 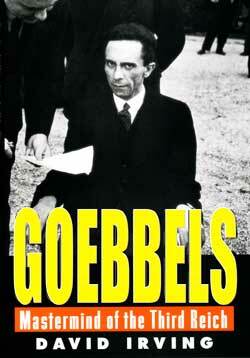 Mr Irving's narrative of his arrest and imprisonment in Austria will make you want to laugh and cry at the same time. 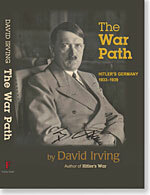 Compelling read about the circumstances of Mr Irving's arrest and imprisonment in Austria. Even handed narrative and real eye opener about the bizarre legal system in Austria. Well worth reading. Thank you for such an honest and balanced account.